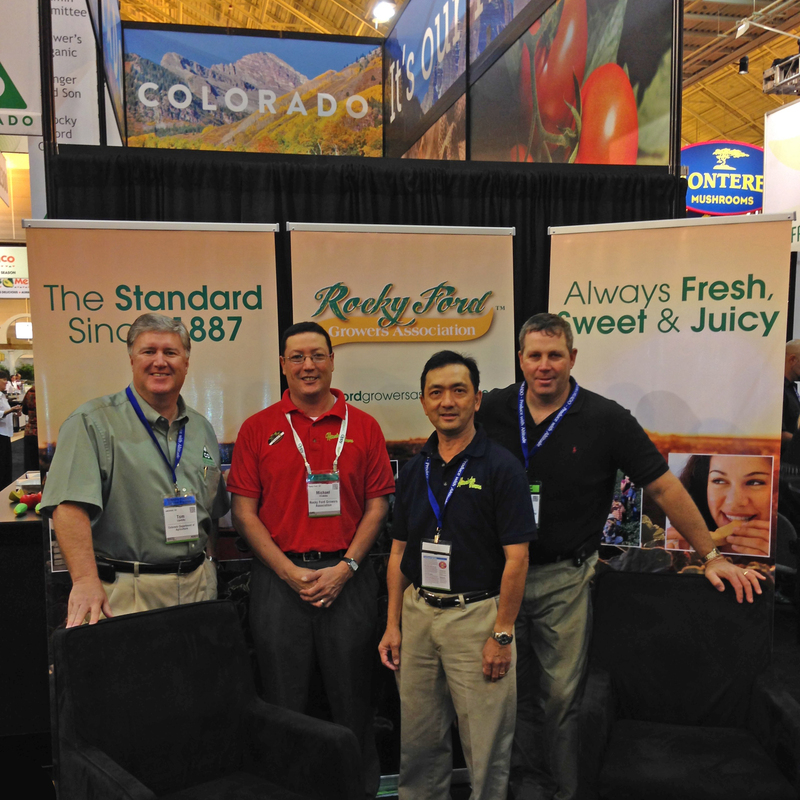 Brandwerks has significant experience working with exhibits, trade shows, and other selling events. 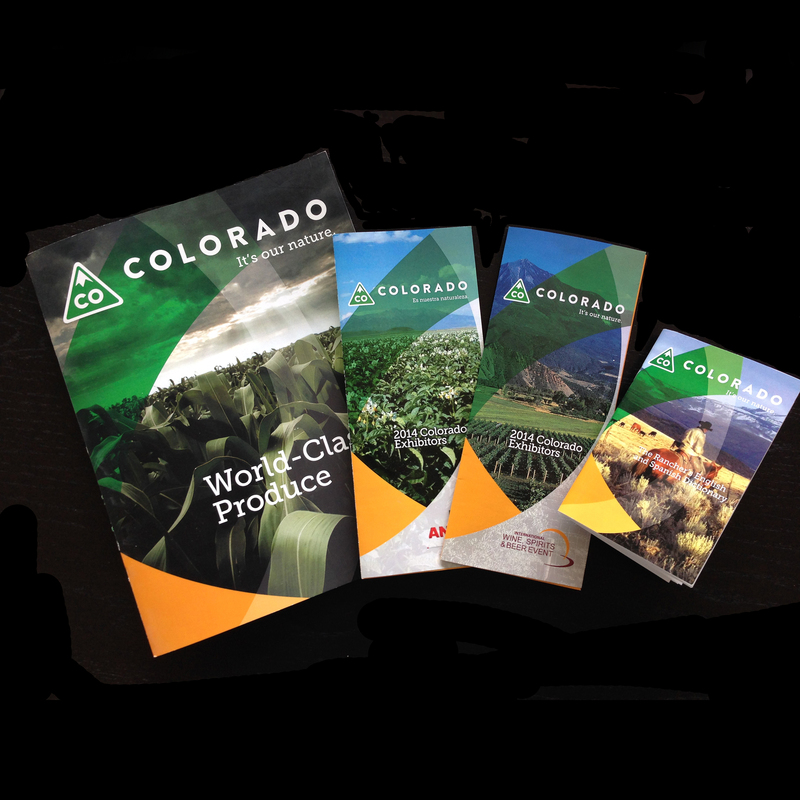 For us, it all starts with strategy and what our clients want and need to accomplish. 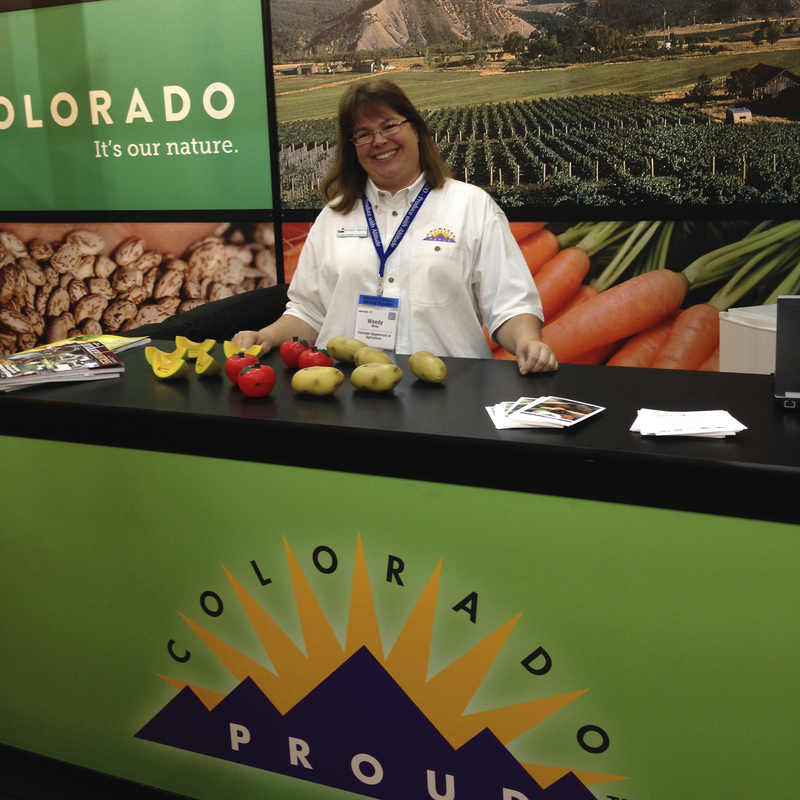 For the Colorado Department of Agriculture’s presence at the global Produce Marketing Association trade show, their need was threefold: 1) To “elevate” the Department’s image and presence, 2) To showcase the State’s unique produce, and 3) To introduce and integrate the State’s new brand identity and the “It’s Our Nature” tagline. Our approach was to create an open pavilion with a “main street” feature that encourages and invites interest. 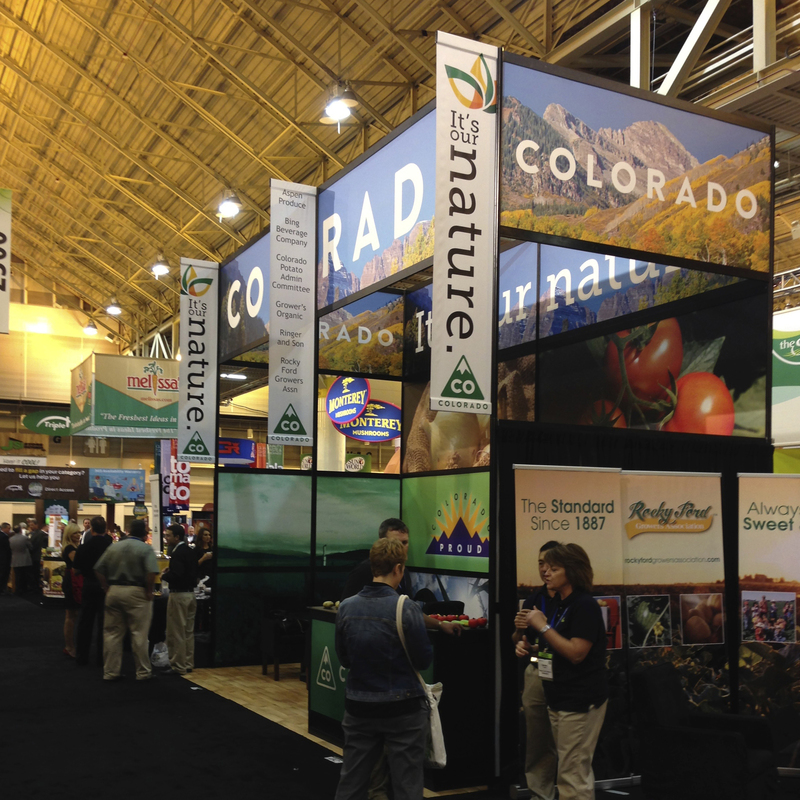 Working with GES, the show’s designated management company, we created a tall modular structure with flexible photo panels for colorful, high visual impact. 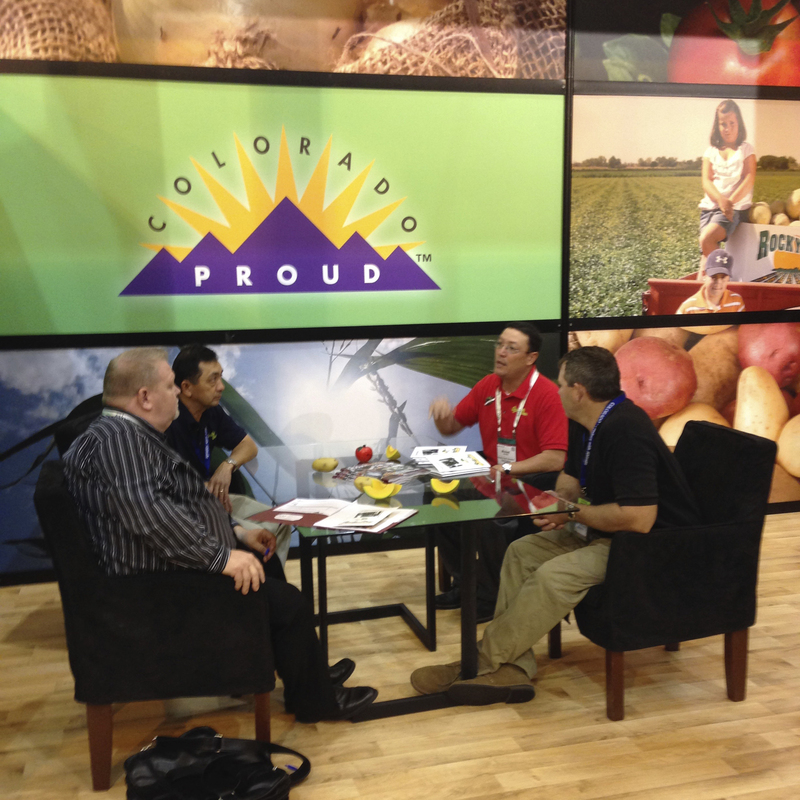 The open floor plan and conference area allowed for comfortable and relaxing sales discussion. 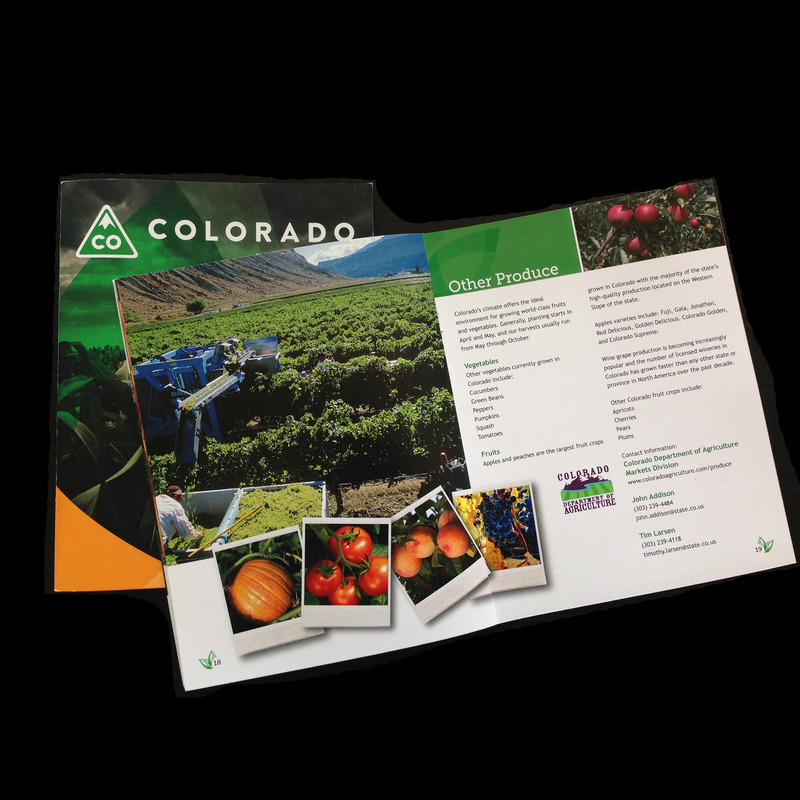 To support the Department and its exhibitors with their selling efforts, we created several product brochures with complementary design.